After a quarter-century of working within the home improvement industry, we’ve established a vast network of professional connections, making us a capable and trustworthy source for general contracting. Overseeing the day-to-day operations of your renovation, we partner with only those specialists and professionals that prove the same commitment to customer care as we do. 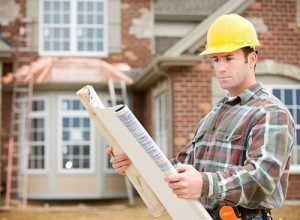 As your general contractor, we rigorously screen every building partner to ensure unquestionable quality in workmanship. We work to foster transparent communication, client care and respect and reasonable and competitive rates. Our proven track record proves our process is unbeatable and our commitment to excellence to be unwavering. From the time the first contract is signed until the last nail has been placed, we’ll act as your trustworthy resource and advocate, ensuring the work goes as planned, the budget and timeline are adhered to and your project is an ultimate success. Get started on your next home improvement project by scheduling your free project estimate now. We promise a prompt response and service with a smile.